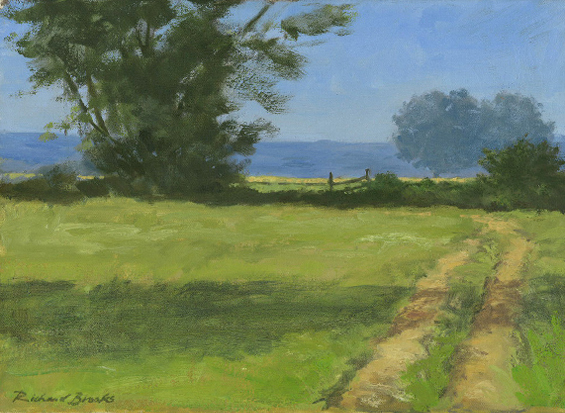 British rural landscape in mid summer from an original oil painting. Giclee print on German Etching paper, limited edition of 40. Print size 20 available medium approximately 14inches by 10 inches or 36x26cm excluding mount. Mounted and cellophane wrapped ready to frame �80.00 plus postage and packing. Print sizes 20 also available small approximately medium 9"x7" or 24x16cm excluding mount. Mounted and cellophane wrapped ready to frame �49.00 plus postage and packing.